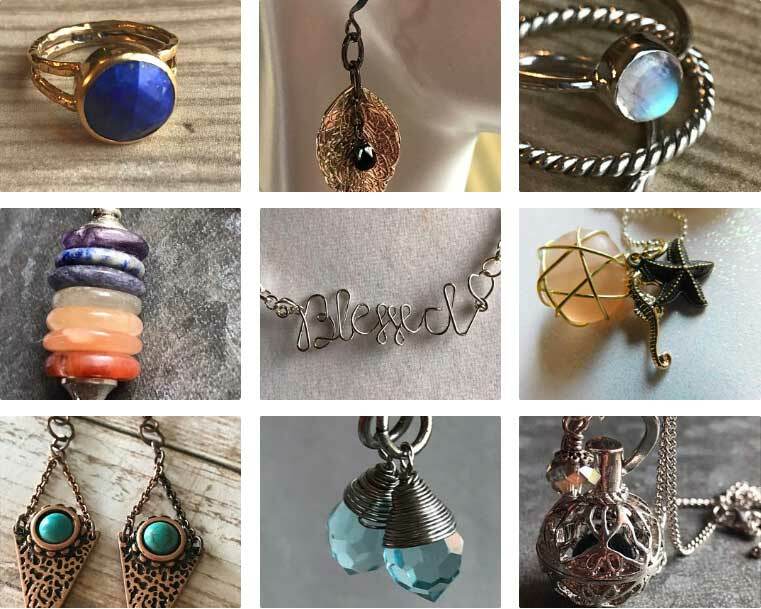 Glass Skye Jewelry is Bridgitte's brand of ever changing high end artisan jewelry, showcasing exquisite gemstones combined with wrapped and beautiful crystals. She came up with the name because she loves working with "Glass" and her daughter's middle name is "Skye". Bridgitte's journey into the world of Venetian glass, pearls, crystals and gemstones was born out of a desire to be productive while caring for her young children. She soon fell in love with the concept of creating beautiful wearable art from the amazing products of nature. She painstakingly creates each design with an eye toward both aesthetics and functionality, and takes great pleasure in the play of light and the colors of the materials. Her materials include sterling silver, gold fill, rose gold fill, copper, Murano Glass from Italy, gemstones, Swarovski crystals, and pearls.